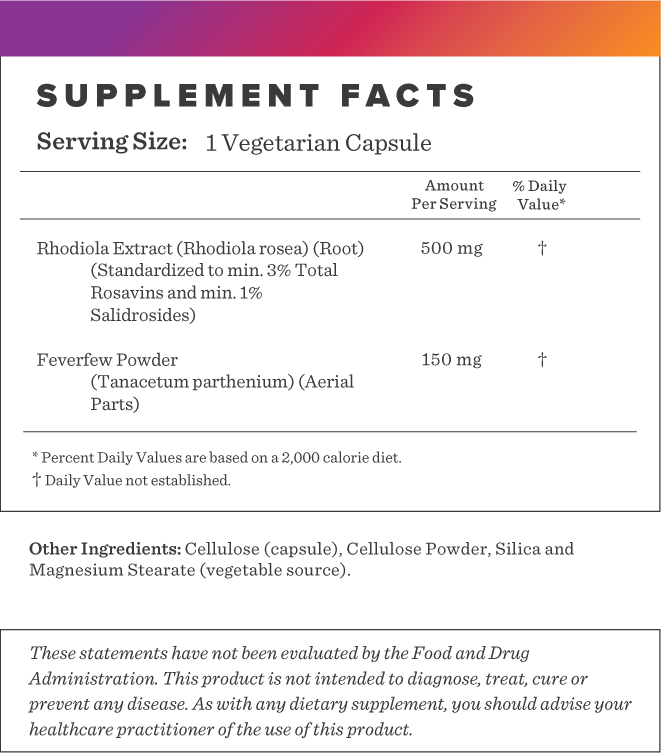 Rhodiola rosea, "golden root," is a popular adaptogen used for mood and energy enhancement. Rhodiola is an adaptogen, meant to help the body cope to stress and combat cell damage caused by stress. The root has been used medicinally as far in history as the first century AD by the Greek physician, Dioscorides. It grows at high altitudes in arctic areas of Europe and Asia. Rhodiola can increase energy, stamina, strength and mental capacity and improve mood. As an adaptogen, rhodiola may help the body adapt to physical, chemical and environmental stresses without disturbing biological function. 1. Darbinyan V, Aslanyan G, Amroyan E, Gabrielyan E, Malmström C, Panossian A. Clinical trial of Rhodiola rosea L. extract SHR-5 in the treatment of mild to moderate depression. Nord J Psychiatry. 2007;61(5):343-8. 3. Olsson EM, Von schéele B, Panossian AG. A randomised, double-blind, placebo-controlled, parallel-group study of the standardised extract shr-5 of the roots of Rhodiola rosea in the treatment of subjects with stress-related fatigue. Planta Med. 2009;75(2):105-12. 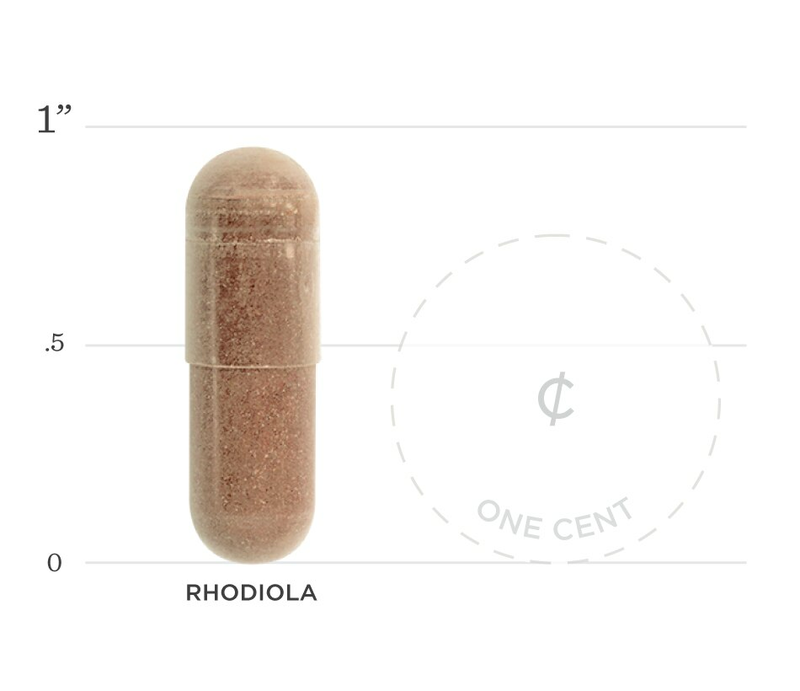 Below we've broken down the main functions of our Rhodiola and the benefits it can provide. Research shows it can help with depression, insomnia and emotional instability. Its anti-fatigue effects and neuroprotective properties may help increase mental performance and overall cognition. Rhodiola may help repair proteins damaged by stress. Studies have shown a reduction of symptoms including fatigue, lack of concentration, headaches, hypertension, and even digestive symptoms over 8 weeks of supplementation. When stress keeps one up at night, supplementing with Rhodiola can help overall fatigue. Its adaptogenic properties have been noted to have a positive effect on fatigue levels and overall attention.